Founded in 2003, Isabella Oliver is a maternity clothing brand inspired by London fashion. The store offers items in sizes 0 to 16, for all stages of pregnancy. Maternity clothes you’ll find on their website include dresses, tops, pants, jeans, jackets, coats, skirts, underwear, and nightwear. Other clothing products include cardigans, jumpers, and nursing clothes. Isabella Oliver also sells shoes, boots, slippers, and pumps. Accessories include belts, scarves, tote bags, shoulder bags, earrings, necklaces, bracelets, and socks. If you’re looking for a present, in addition to gift-wrapping services, you can also find gift certificates on the website. Their easy-to-use website makes shopping online quick and effortless. If you know what you’re looking for, use the search function on the right side of the homepage toolbar. Navigate the toolbar to filter clothing by type, different styles of dresses, and tops. If you are looking for some marked down items, browse the outlet to save up to 50%. 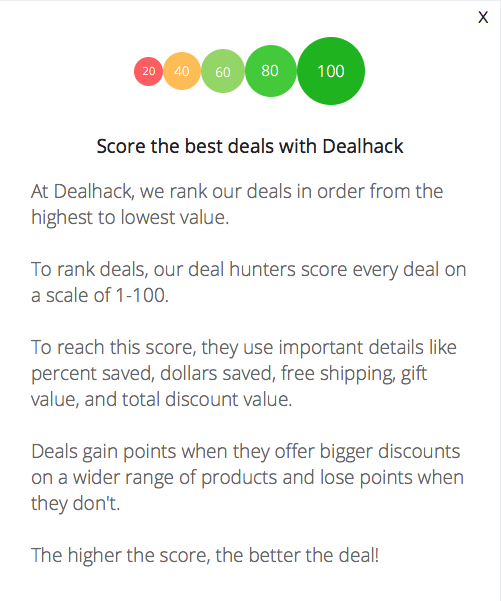 Our mission here at Dealhack is to bring you the best coupon codes and special promotions for your favorite online retailers. We usually have great offers for Isabella Oliver, including buy one get one deals and percentage discounts. If you want to help someone else save, use the refer a friend option to send a friend or family member a $15 coupon. Customer service is available by calling 1-800-961-4963 or by sending an email to [email protected]. Follow them on Facebook, Pinterest, and Instagram to preview great new items for every season. If you are unsure of your size, use the online sizing guide to help you find the right fit. Check out the Isabella Oliver sale section for items marked down up to 50% off their original price. You can narrow your search by price, color, size, and when to wear. Visit the help & FAQs page for information on washing, using gift vouchers, sizing, and more. Sign up for their email newsletter to learn about the latest deals and promotions available from Isabella Oliver. What is Today’s Best Isabella Oliver Promo Code? The best Isabella Oliver promo code right now is AFT2019. This code is for '20% off Maternity Wardrobe'. Copy it and enter it on the Isabella Oliver checkout page to use it. All U.S. orders of $89 and up qualify for free shipping. Express and international shipping are also available. If you’re not fully satisfied with your new merchandise, you can return regular-priced items within 30 days of receipt and sale items within 7 days. Isabella Oliver will pay for the shipping on your first product return.